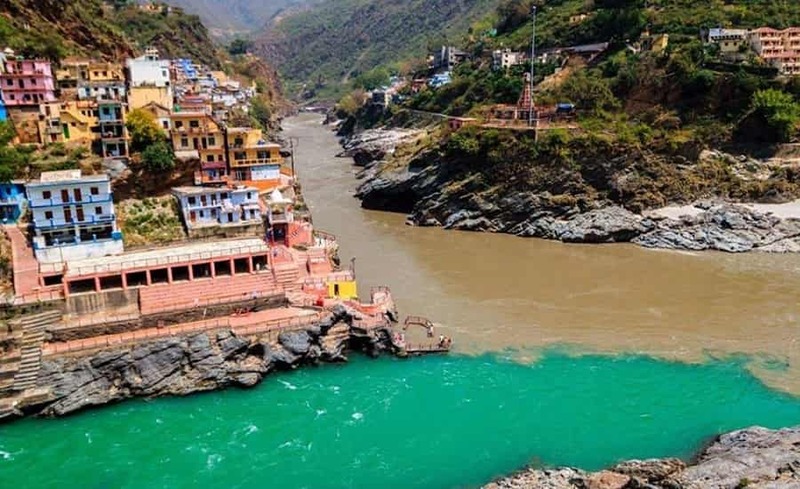 Literally translating into ‘godly confluence’ the holy town of Devprayag draws its name from the confluence of two of the holiest streams of Alaknanda and Bhagirathi that merge together to form one of the holiest rivers in India – Ganga. 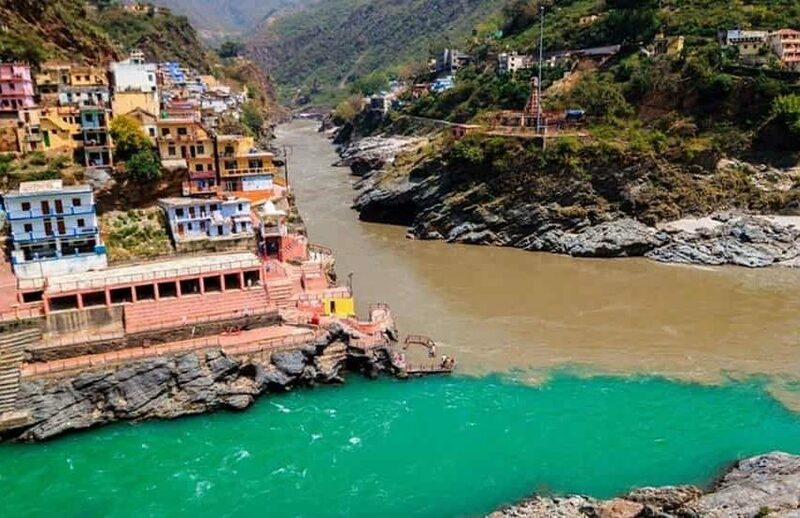 This merging point of the rivers is the sacred spot where people and devotees from far and wide visit to take a holy dip in its waters and wash away all their sins in an attempt to gain moksha. Even if you are not a religious person, the beauty of this place is immeasurable and just witnessing this is a spiritual experience in itself. 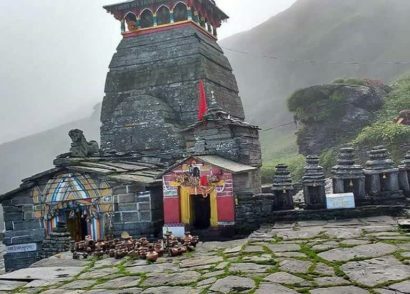 Devprayag is situated in the district of Tehri Garhwal in Uttarakhand, which is filled with amazing places to visit and not only for religious people but also for people looking for a quiet getaway or to go on some trekking adventure. 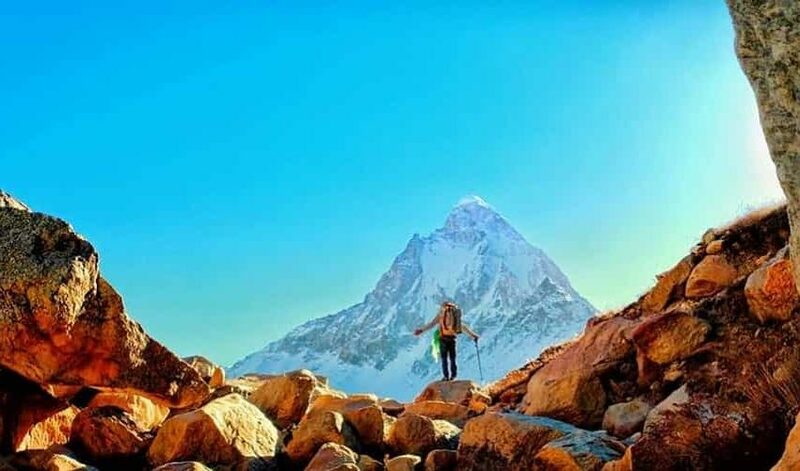 The 3 towering, jagged mountains surrounding Devprayag are Dashrathanchal Parvat, Giddhanchal Parvat and Narsinghancal Parvat. 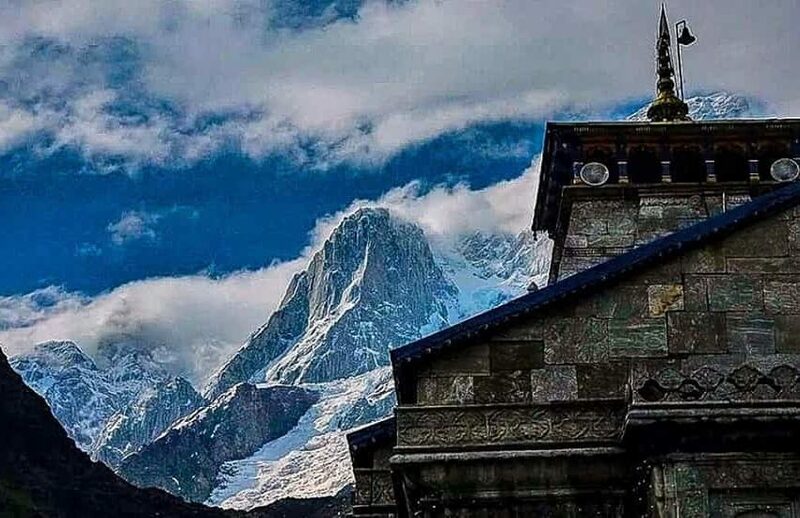 The scenic beauty here is present in immense amounts and the town is also dotted with numerous small and ancient temples dedicated to various gods and goddesses. 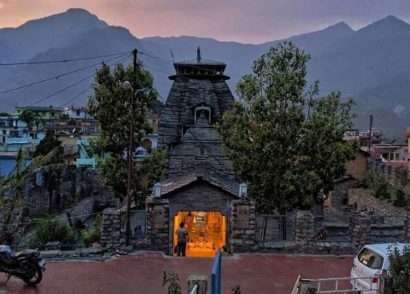 The hoy town of Devprayag is nestled amidst the intensifying beauty of Uttarakhand and there are several options and activities for you to indulge in. here you can get your complete doze of both adventure and spiritual experience because it is inescapable. 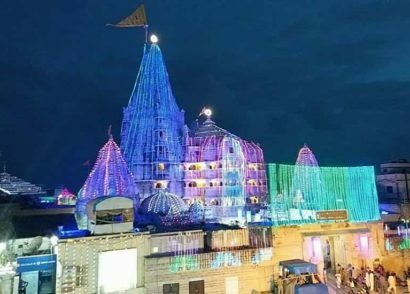 You can go there, take a dip in the holy water, visit the temples like Danda Nagraj (lord of the snakes) Chandrabadni temple, Raghunathji temple etc, talk to the locals and gain some perspective. You can also use Devprayag as a base for your further journeys to different places of attractions nearby. Apart from all this one of the most underrated things about Devprayag are its delicacies which are delicious. 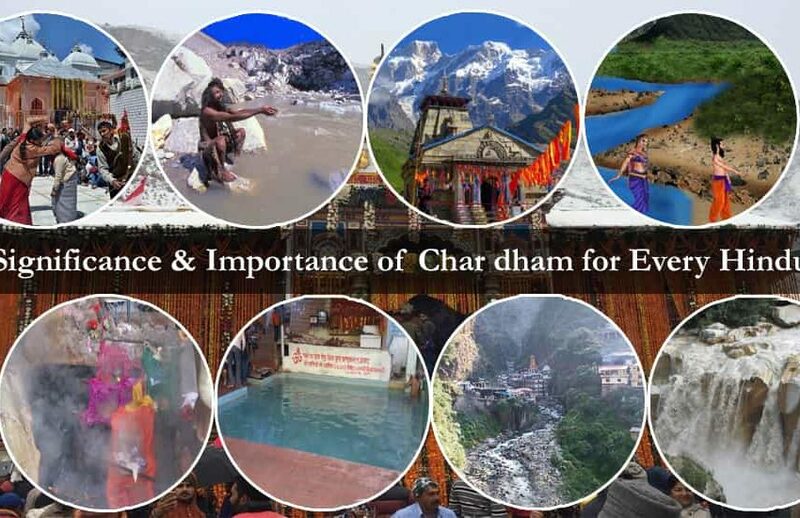 This is the holy place where the streams of Alaknanda and Bhagirathi meet to form the holy river of Ganga and taking a dip on the confluence point will grant you moksha or salvation. The famous Kumbh Mela originally used to take place here unless the lack of infrastructure and space took over and it was later on shifted to Haridwar. 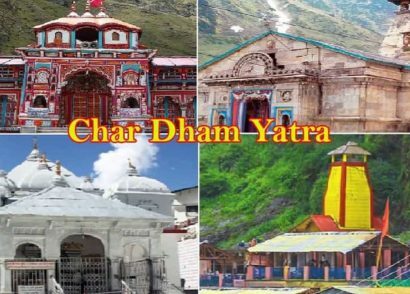 Devprayag is also an important part of the Panch Prayag Yatra circuit of Uttarakhand where devotees go to all the holy confluences of Nandprayag, Karnaprayag, Rudraprayag and Vishnuprayag. 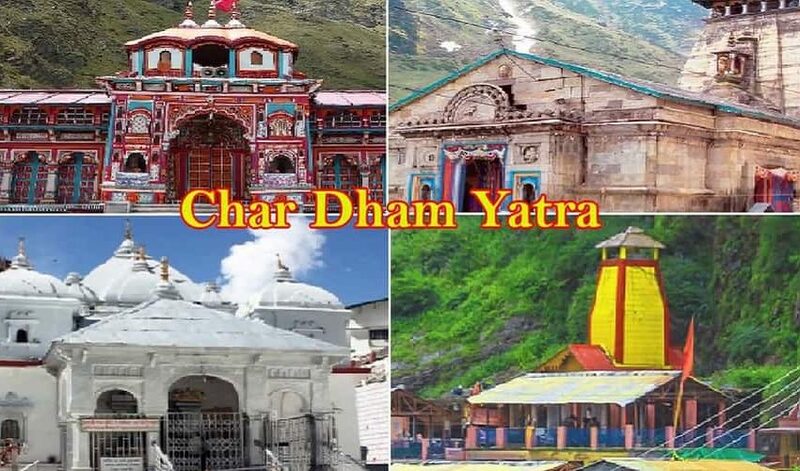 Ramji and king Dashrath are said to have performed their meditation here during the ancient ages which only adds to the spiritual and religious significance of Devprayag. 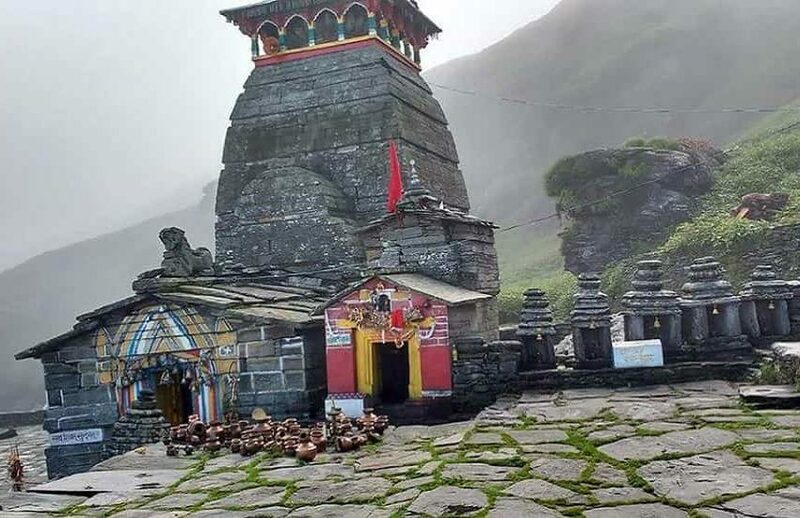 A temple called Raghunath ji which is situated atop the confluence along with huge rocks is said to have been built around 10,000 years ago which makes it another ancient religious place of importance in Devprayag. This is also the residence for late Acharya Shri Pandit Chakradhar Joshi who is credited with the establishment of Nakshatra Vedh Shala in the year 1946. 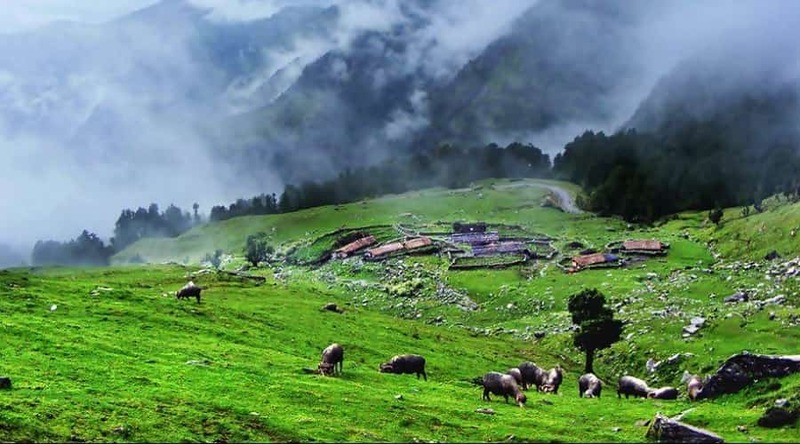 Summer Season (April – June) – Summer time in Devprayag is quiet pleasant and you will be experiencing the typical hill summer of Uttarakhand with a lot of bright days and cool nights. This will also be a good time to go out and explore some nearby tourist places. The average temperature experienced during this time ranges between 18 to 31 degree Celsius. 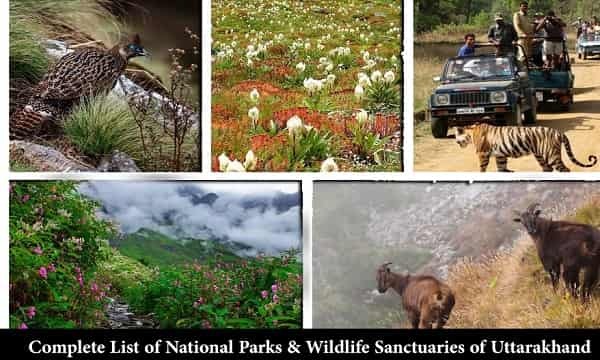 Monsoon Season (July – September) – Travelling anywhere on the hills during these months is not a good idea since the region remains prone to unexpected weather changes and may also cause landslides which will put your life at risk. But if you are willing to take the risk then this is the most offbeat and tourist free time to visit, but you have to find a window of sunshine days before visiting. Winter Season (October – March) – Winter time on the hills is a sight to behold. The temperatures during this time remains freezing cold and it sometimes also goes to sub-zero levels and goes to as low as 0 degree Celsius to even in minus on some days. Visiting during this time will add a hint of adventure to your travel plans to Devprayag. Hanuman Cave – This is a small and ancient cave which is located right on the edge of the confluence point close to the temple dedicated to Ganga Maa. 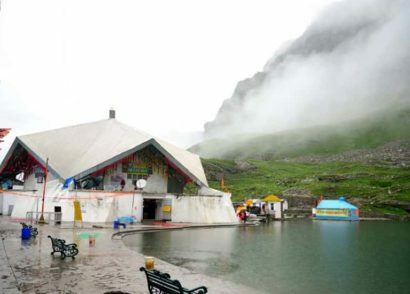 It has been mentioned in the holy Hindu books and scriptures that Hanumanji had come here to meditate to Ramji after taking the holy dip in the Prayag. Raghunathji Temple – Dating back to as old as 10,000 years old, this temple which is dedicated to Ramji. 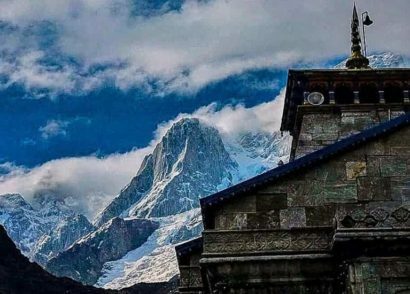 The temple is made out of large rocks and sits peacefully right on the confluence of the rivers of Bhagirathi and Alaknanda. 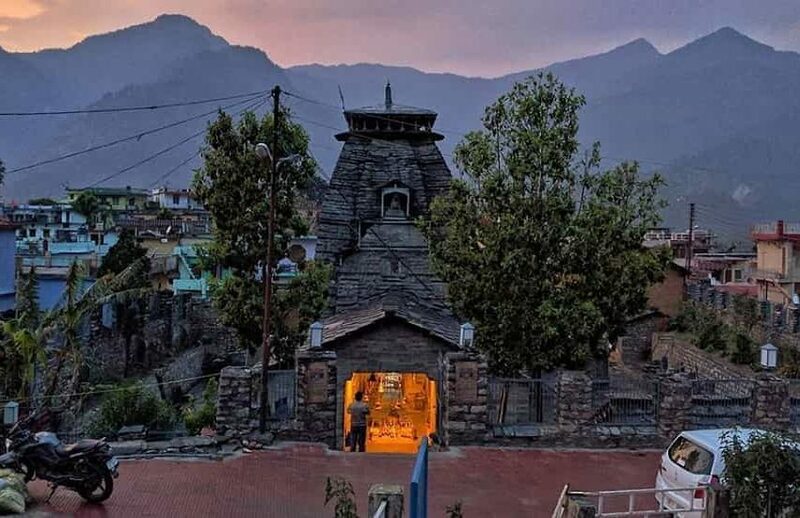 Chandrabadni Devi Temple – This temple is located towards the border of Devprayag and is dedicated to the goddess of power – Sati who is worshipped as the presiding deity. Outside the temple there are iron Trishuls that only adds to its beauty. 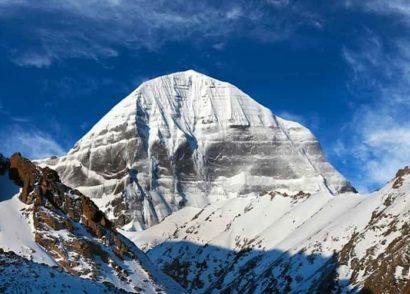 Dashrathshila – Named after king Dashrath this is a mountain rock which is the place where Dashrath had meditated and performed his penance. There is also a small water stream which flows past this and is named as Shanta after his daughter. 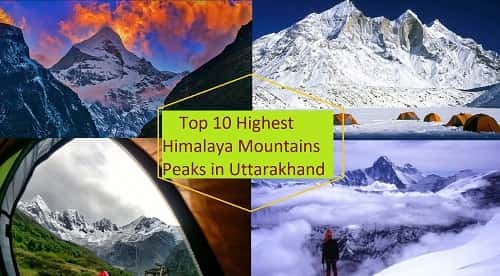 It is located on a small hillock on Dashrathanchal peak. Suspension Bridge – The suspension bridge leading up to the confluence offers fantastic views of the gushing river water below along with some of the most stunning views of the surroundings. 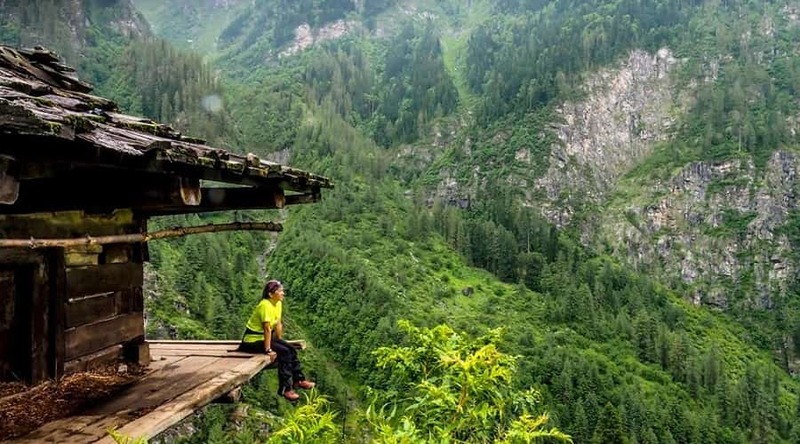 A great spot to take some magnificent shots and just take a moment to take a look around at the peaceful surroundings. 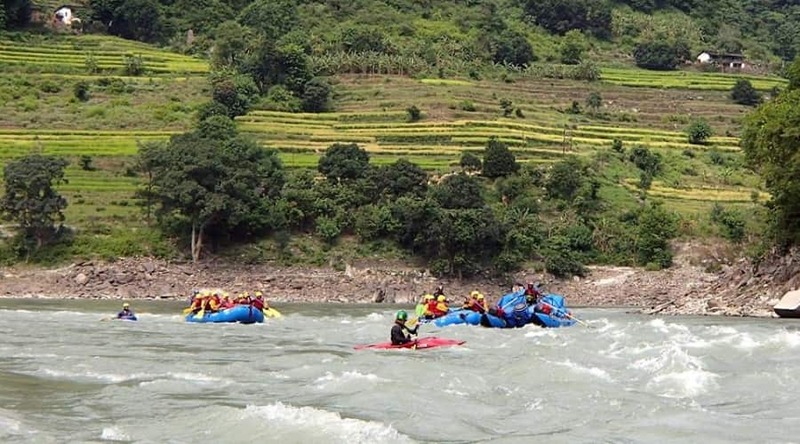 Shivpuri – If you want to indulge in some thrilling outdoor experiences then this is the place to be since it offers river rafting and camping opportunities. This is located at just a distance of less than an hour and is a great spot to spend your weekends in with your family and friends amidst the beauty of nature. 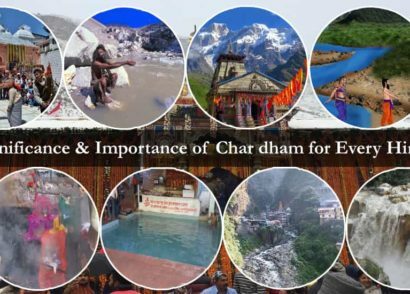 Teen Dhara – People en route from Rishikesh to Devprayag (Rishikesh Devprayag highway) will be able to experience a simple lifestyle at the scenic and quiet location of teen Dhara. 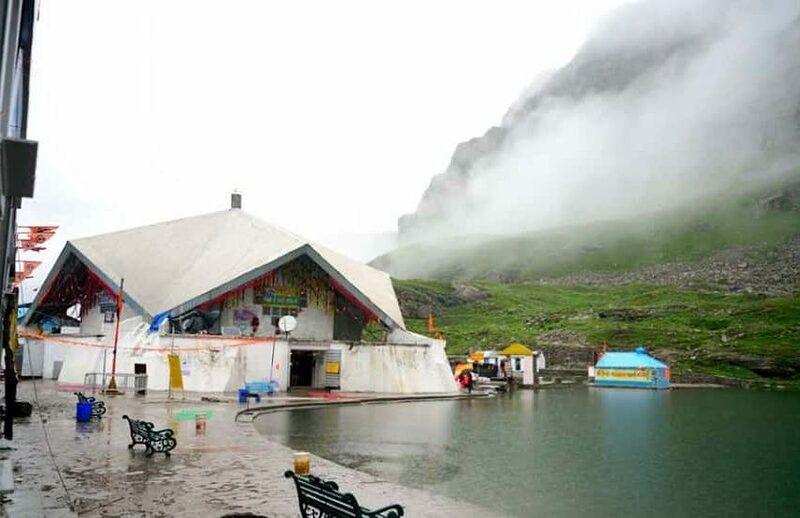 This place is situated just along the banks of the holy river of Ganga and is dotted with simple and low priced Dhabas offering delectable food. Sirasu – This is another destination for camping and river rafting activities which is located by the banks of river Ganga. 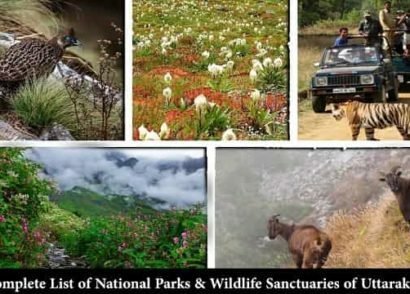 People come here to explore the beauty of untouched nature and are one of the best options for an offbeat getaway from Delhi and other nearby places. By Road – You should first of all make your way Haridwar or Rishikesh in order to reach Devprayag. From Here on you can either get on a local state / private bus, taxi or a cab heading to Devprayag. From here it takes around 3 to 4 hours to finally reach. By Railway – This is probably one of the best, convenient and the cheapest ways to travel in case you are travelling from far away or some nearby town. The nearest stations in situated in Haridwar (94 km) or Rishikesh (74 km). Once you get off at the station you can choose to hire a cab or a taxi service heading onwards to Devprayag. 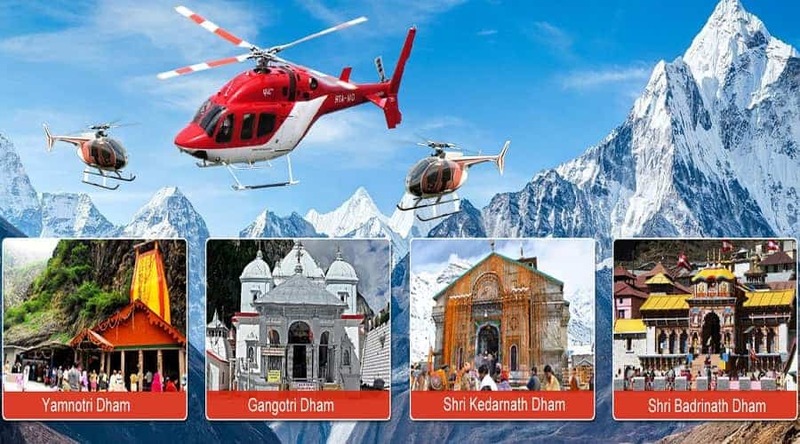 By Flights – The closest airport for Devprayag is located in Dehradun which is Jolly grant and is situated at a distance of 3 hours from here. From the airport you will be able to hire a cab or a taxi heading to the holy confluence. Keeping in mind all the factors of season change the best and the safest time for you to visit is during the summer months when the sun is out offering you a comfortable and a pleasant time to visit and explore and even go for a dip in the confluence of the rivers. 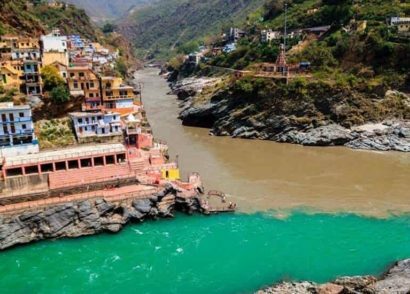 An interesting feature of Devprayag is the distinct colour difference between Alaknanda and Bhagirathi which can be clearly seen. These colours change seasonally and are observed clearly. During the summer months Alaknanda river appears to muddy whereas Bhagirathi appears clear. But after the monsoon months the colour of Alaknanda changes from muddy to clear and Bhagirathi transforms into a light green muddy colour. This is one of the most stunning Phenomenons to witness and should definitely be witnessed at least once in a lifetime. Devprayag offers some cheap and viable accommodation options. Here you can stay the night in various budget-friendly lodges, guesthouses or even cheap hotels. No matter where you stay you will be treated with some of the most fascinating views of the surroundings. The list of hotels in Devprayag is a long one but fits the needs of all types of travellers. 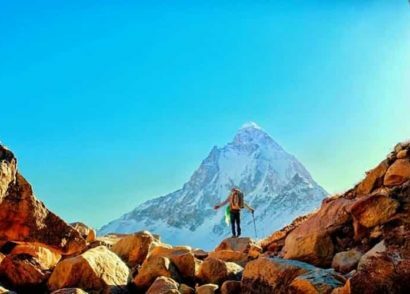 While on your Way – There is no doubt that the route connecting Rishikesh to Devprayag is incredibly scenic and picturesque. If you have mountain sickness then it is recommended for you to take a tablet for it since the roads are quiet winding but very well made. You will encounter a number of taxis, cabs and people on bikes on this route. The advent of commercial tourism can easily be witnessed due to the presence of lot of Dhabas, restaurants and other food joints. While in Devprayag – Once you disembark from your mode of transportation you will be crossing a beautiful suspension bridge that will lead you till the Prayag location. 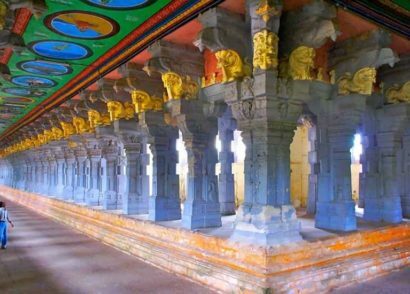 You will en engulfed in a strong feeling of spirituality and deep devotion and you will know why people used to come here to find peace. There are fleets of stairs that will lead you till the Prayag point. You have to be very careful while taking a holy dip since the water here is extremely ferocious.